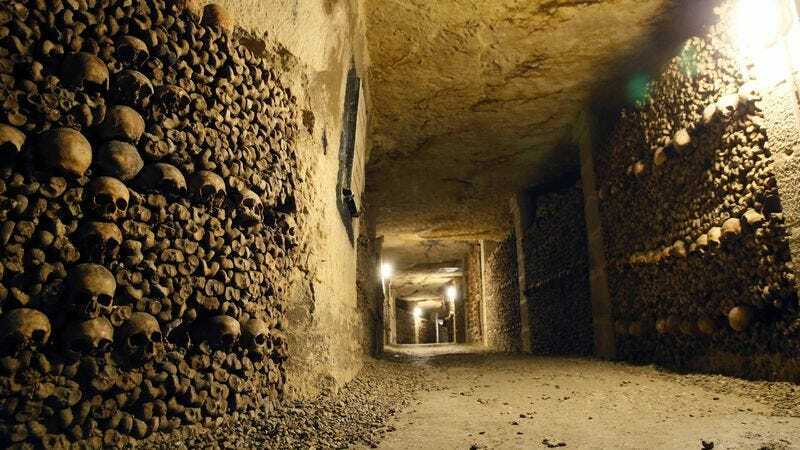 Underneath the streets of Paris lies a winding labyrinth made of the skeletal remains of 6 million corpses. Time to make your mom think you live there by sending her these! 1. Go on…show off your new home to your mom! 2. Oh man! Your mom’s totally gonna freak. 3. This one will really get her good! 4. Why not introduce her to your roomies? 5. Try texting her this in the middle of the night! 6. Don’t worry, you can tell her you were just kidding…eventually! Nice! Be sure to post your mom’s reaction in the comments.